Furry Fridays are a two-fold initiative to provide kennel quilts for animal shelters and also help get shelter pets adopted! This week's Furry Friday is sponsored by Benartex Fabrics. Be sure to hop over to their blog and Facebook page to see all the fun they're up to this week! 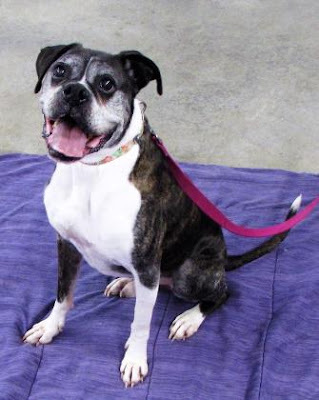 The first goal of Furry Fridays is to provide kennel quilts for animals in shelters waiting for their forever home. 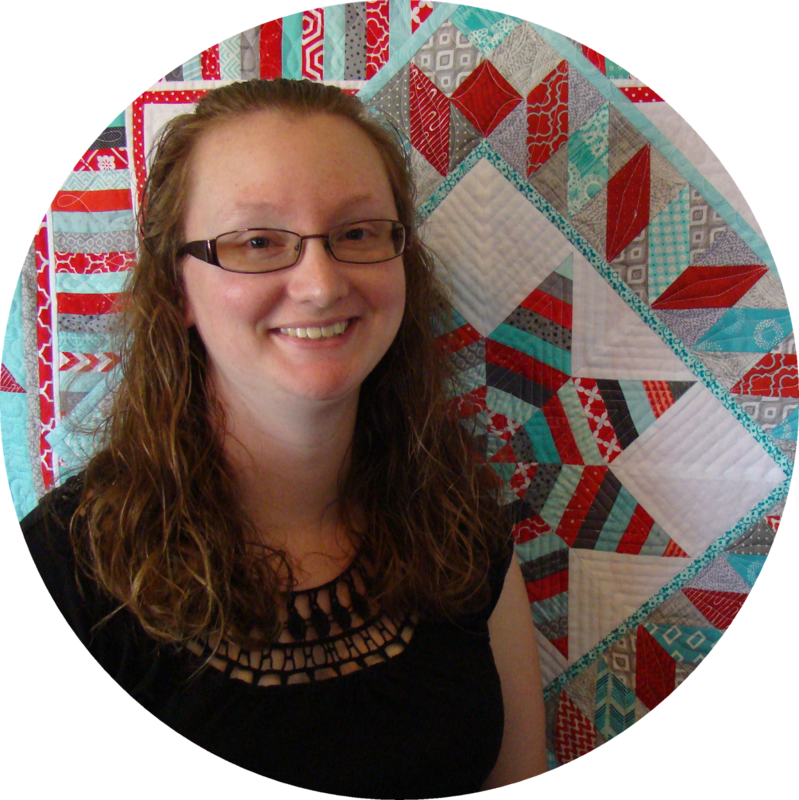 The Small Kennel Quilt Team is a volunteer organization sponsored by The Quilt Pattern Magazine. 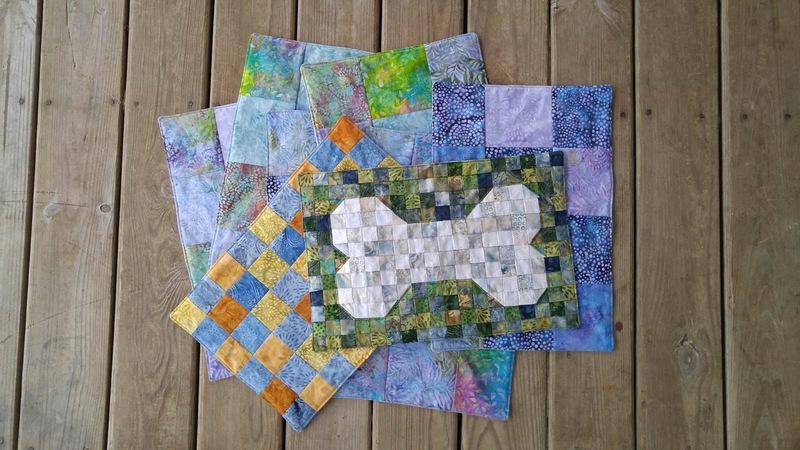 You can help The Small Kennel Quilt Team by making kennel quilts yourself! 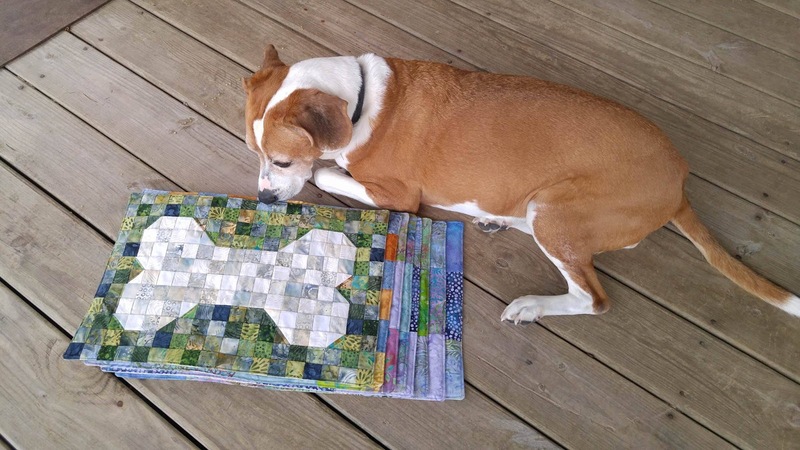 Information about the kennel quilt program is available here. Kennel quilts are quick and easy to make - and a great use of scraps! Maybe you remember these that I made in February with Island Batik fabrics? They're now comforting animals all the way down in Louisiana! The second goal of Furry Fridays is to help the Petfinder Foundation find homes for cats and dogs that are in shelters across the U.S. This week, Petfinder Foundation is highlighting two animals that are looking for a forever home - maybe that is with you! This week's featured cat is Chester! Chester may look tough, but that's because he's a natural-born leader. Chester lives in a cage-less facility and uses his alpha personality to make sure all the free-roaming cats get along. In addition, he LOVES dogs, and makes sure his fellow felines are nice to them too. Still, Chester longs for a forever home where he can snuggle in your lap and help with the laundry (really!). Meet him at Animal Refuge Center, Inc., in Vine Grove, Kentucky. More info about Chester can be found here. This week's featured dog is Caesar! Spunky senior Caesar is 10 years young and, no matter what conventional wisdom holds, he loves learning new tricks! (Although he already knows sit, down, shake and high five!) Caesar gets along with other dogs, walks nicely on the leash and loves to play with toys and cuddle with his person. 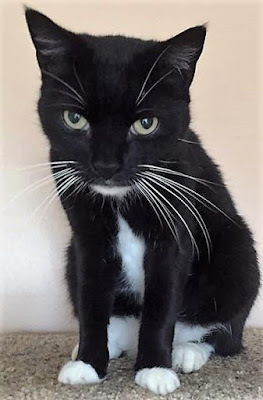 Meet him at the Humane Society of Summit County in Twinsburg, Ohio. More info about Caesar can be found here. If you are looking for a pet, please consider those at your local animal shelter. Our very own Hanna was a shelter dog! She just celebrated her 11th birthday! In addition to kennel quilts, I like to make cat beds with all my batting and fabric scraps. You can read about those here. My local shelter loves when I bring them a stack! Do you have a family member that was once a shelter pet? 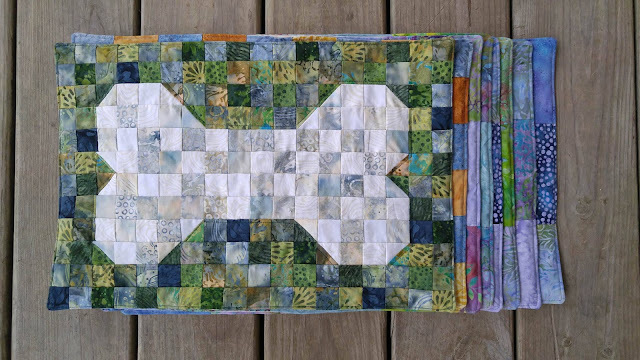 Have you ever made a kennel quilt for your local shelter? Thanks for this post, and the cat pillow project. I just bookmarked it so in my destashing process I could make a few! Our "grand dog" was from a shelter. We help out with him while DD is traveling. I make cat/dog beds, too, from leftover scraps and batting. I like to buy pillowcases from Ikea when they're on sale for a dollar and fill them up. Great post, I love your kennel quilts and the stories of Chester and Caesar needing forever homes. We had two dogs adopted from our local shelter who graced our lives for sixteen years. 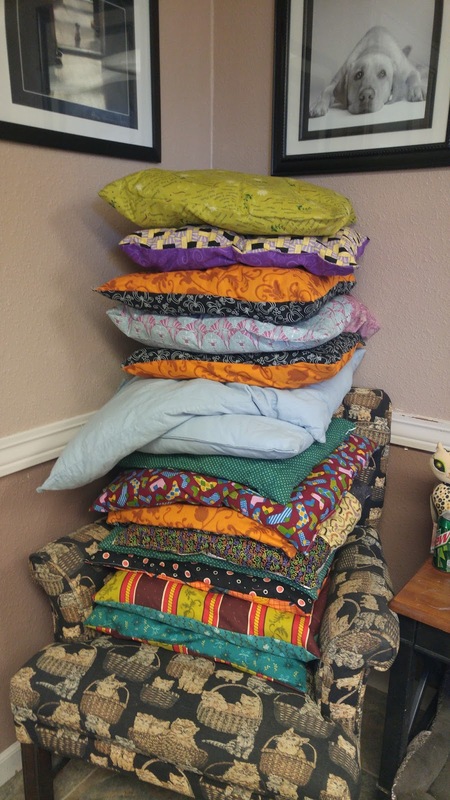 I really love your tutorial on the cat pillows and know that I have the scraps and fat quarters to make them up. Thanks for sharing. Your kennel quilts are great! That patchwork bone is a clever idea. 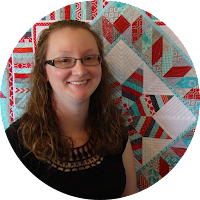 Laura, those little quilts are adorable! We had a shelter puppy named Peaches - she looked like a little fur peach! She was with us for many fun years.